There is an example of this occurring in HIV. HIV-M gained a gated ion channel, this is pretty substantial due to the complexity associated with the proteins involved. Dr. Behe, on his amazon blog, was corrected about this about a month ago after the release of Edge of Evolution. He made the claim of no new information without the loss of function but was shown, and admitted, to be wrong. An incorrect assertion. I could see nothing on the Amazon blog that remotely fitted the description that Dr Behe ‘admitted, to be wrong’. 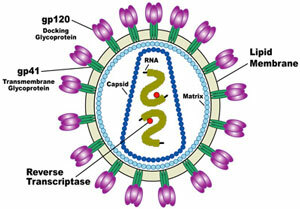 Here is a list of research articles that show the VPU in subtype M HIV-1. This is a bit of ‘elephant hurling’, providing a list of references that would ‘snow’ many into just accepting the assertion without further question. Most would reason that no one would provide references that don’t actually back up the claim made. It’s a bluff, basically. All four different isolates of SIV that were investigated expressed a version of the Vpu protein. So where is the evidence that this is even a new protein, peculiar to HIV-1 (see later)? I can’t see where anyone has demonstrated that this is a truly novel trait of HIV-1. Indeed the importance of Vpu to efficient HIV replication (Ref. 1) suggests that Vpu has been a necessary part of HIV and SIV all along. The claim seems to rest on an interpretation of the wording of a 1988 paper and subsequent research has certainly shown that the trait is not novel at all. As is so often the case, creationists are vindicated by further research that inevitably overturns evolutionary claims that are based on incomplete knowledge—see, for example, the story of ‘junk DNA’. Reference 1 shows that the HIV-1 Vpu protein is 81 amino acids, which is hardly ‘pretty substantial due to the complexity associated with the proteins involved’. It is only one protein, and a relatively small one at that. And some of the SIV Vpu’s are much smaller, but still work (Ref. 9)—the piece of chewing gum does not have to have a very specific size! Vpu’s effectiveness seems to depend on a handful of negatively-charged amino acids, that’s all (Ref. 9). Such is not beyond the ‘edge of evolution’ that Behe identified anyway. So even if Vpu did arise de novo, by mutations, which has not been demonstrated, it is not a very significant achievement for ‘evolution’. Even if this was a truly novel HIV gene, it would not support the notion that mutations have created all the complexity of life on earth. If this is all that HIV could achieve with its astronomical populations, rapid generation times and high mutation rates, it argues against mutations creating the bacterial flagellum, the cilium, the Krebs cycle, the photosynthetic apparatus, the DNA replication, transcription and translation systems, or a host of other biochemical marvels that are part of life.3 This is a major point of Behe’s book The Edge of Evolution: even with its vast capacity for ‘evolution’ HIV hasn’t achieved anything significant. And if HIV can’t do it, organisms like worms, jellyfish and humans certainly can’t do it, even given eons of evolutionary time. I know that sometimes these articles can be difficult to read due to the technical terms used but they show the evidence and proof of the Vpu having formed from a previous clade of HIV and that it is a complex structure with beneficial attributes for the virus. 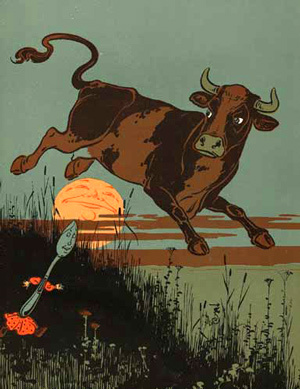 The leap of faith required is akin to believing [that] since a cow can jump, and we might not agree exactly how high it can jump under favorable circumstances, therefore we are free to believe that a cow can jump all the way around the moon. Summary: It seems that the skeptic (most of whom strangely refuse to be skeptical of evolution!) has misunderstood the basis of the use of ‘novel’ in Ref. 1, which is used in the sense of ‘newly discovered’, not ‘newly arisen’. Subsequent sequencing (e.g. see Ref. 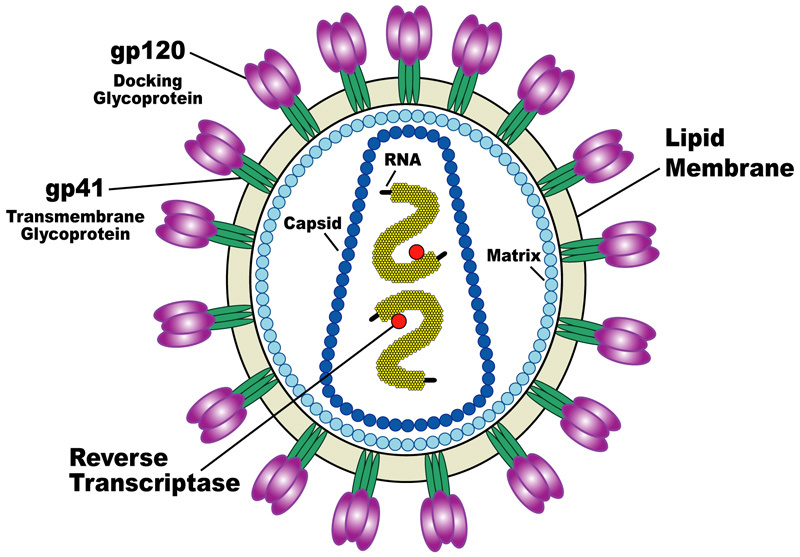 9, 2005) certainly showed that Vpu is not unique to HIV-1, so it is not ‘novel’ in the sense that believers in evolution would like. So the argument evaporates. From my look at the references (abstracts), I’m not sure that any actually claim new genetic information, but claim that the protein is beneficial. Behe’s Amazon blog referred to is presumably this. I think the claim of what he admitted is overstated. Anyway, could you explain to me why this person is wrong in his claim? I’ve searched the web-site and a couple of other sites in vain. Appay, V. and Sauce, D., Immune activation and inflammation in HIV-1 infection: causes and consequences, J Pathology. 214(2):231–241, 2008. Return to text. Bell, P., Apoptosis: cell death reveals Creation, TJ (now Journal of Creation) 16(1):90–102, 2002. Return to text. See some examples of biological design at: Could the molecular intricacies of DNA and RNA, and other molecular machines, really have evolved by chance as evolutionists claim? Return to text.